John Dewey is known as a pragmatic philosopher and progressive architect of American educational reform, but some of his most important contributions came in his thinking about art. Dewey argued that there is strong social value in art, and that artists most often challenge our preconceived notions. 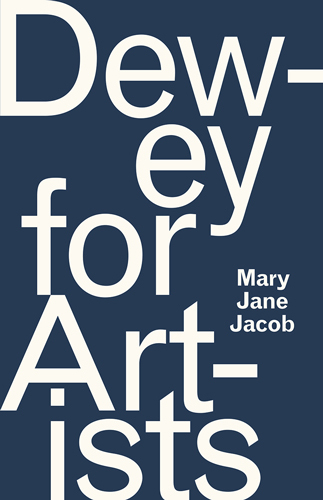 Dewey for Artists shows us how Dewey advocated for an “art of democracy.” In the book, Jacob culls from the experiences of contemporary artists who have modeled Dewey’s principles in their practices.